Saving money on a new FIAT in Nebraska is simple. The first step is to research the Car model of interest and identify any other vehicle of interest. You’ll receive Car price quotes from Nebraska Car dealers. Simply compare prices to find the best Car prices in Nebraska. 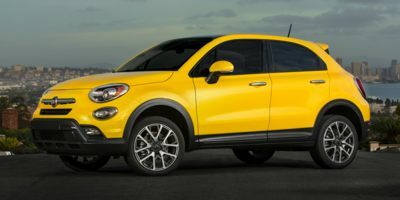 The Fiat 500X is available with three different trim levels: Pop, Trekking, and Lounge. Standard power for Pop models is a 1.4L turbocharged four making 160 horsepower and 184 pound-feet of torque. 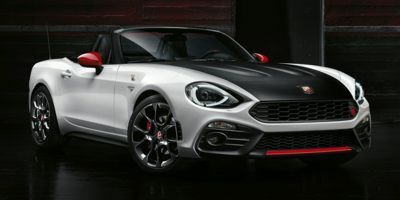 It is the same unit that powers the 500 Abarth, though in the 500X it's connected to a six-speed manual, rather than a five-speed. Trekking and Lounge have a 2.4L 4-cylinder that makes 180 horsepower. The bigger engine is optional on the Pop, and it puts power to a 9-speed automatic. Front-wheel drive is standard on all 500Xs, with all-wheel drive optional on Trekking and Lounge trims. Despite the smaller engine, Pop models still have decent acceleration, thanks in part to the 500X's relatively small size and light weight. Despite being the most basic trim, Pop models still come relatively well equipped for the price. Standard features include power windows and mirrors, an electronic parking brake, hill start assist, steering wheel mounted audio controls, a 3.5-inch screen in the gauge cluster, 16-inch wheels and daytime running lamps. The next trim level up is called the Trekking trim. Trekking adds the bigger engine and automatic transmission and makes all-wheel drive a $1,900 option. It carries a more rugged appearance, and it also gets unique 17-inch wheels, a 6-speaker Uconnect stereo, and a 5-inch color touchscreen display in the dashboard. Lounge models ditch the rugged appearance of the Trekking trim and instead add some additional exterior chrome and daytime running lamps. Other features on the Lounge include automatic headlights, a leather-wrapped shift knob, a 6.5-inch touchscreen display, one year of SiriusXM radio and a backup camera. 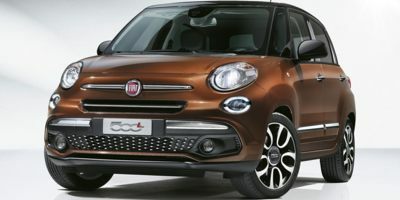 Popular options on the 500X add items like automatic headlights, Bluetooth hands-free connectivity, leather upholstery, and a rear camera and parking sensors. Trekking and Lounge trims can also be ordered the Advance Safety Package, with blind-spot monitor and rear cross-traffic alert, forward collision warning, a lane departure warning, and more. The Premium Package includes a dual-pane power sunroof, 18-inch alloy wheels and a 9-speaker Beats sound system. The Fiat 500X comes standard with a host of airbags, anti-lock brakes, stability control and traction control. Compare Nebraska FIAT prices. Get free price quotes for any FIAT in Nebraska. See the invoice price, MSRP price, and clearance prices for all vehicles. Save big when Nebraska FIAT dealerships compete on price. Compare FIAT prices, pictures, reviews, local rebates and incentives, and more. View all used vehicles for sale in Nebraska. Compare used FIAT vehicles and get the best deal in Nebraska. See prices, pictures, vehicle specs and everything you need to get the best deal on a used FIAT. Bad credit auto loans and good credit auto loans for a new or used FIAT in Nebraska. Compare current auto financing rates and get approved before you go to the dealership. We can get financing for nearly all new or used FIAT buyers in Nebraska. Get a free auto loan quote today. Compare auto insurance rates from top lenders. Get the lowest monthly payment on a new or used FIAT in Nebraska. With free FIAT insurance quotes, you can save money regardless of driving history.